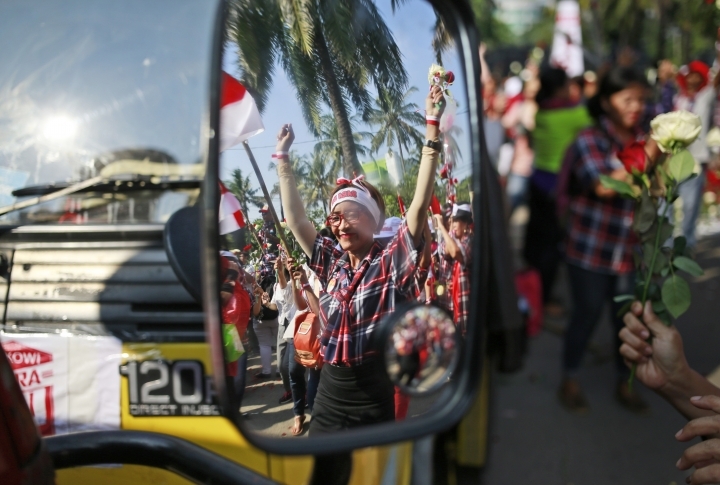 Hundreds of apparent supporters of Jakarta Gov. Basuki "Ahok" Tjahaja Purnama have massed outside the Jakarta high-security prison where he is being held after a court on Tuesday sentenced him to two years in prison for blaspheming the Quran. An Associated Press journalist at the prison said some were pushing hard against a gate, trying to knock it down. A man angrily addressing the crowd through a megaphone said, "Brothers and sisters, justice has died in this country." Indonesian President Joko "Jokowi" Widodo says people must respect the legal process after the minority Christian governor of Jakarta was sentenced to two years in prison for blaspheming the Quran. Speaking from easternmost Papua province, where he was visiting a power plant, Jokowi said Tuesday: "I ask all people to respect the existing legal process, as well as the verdict that has been read by the judges. We also have to respect the steps that will be taken by Basuki Tjahaja Purnama to appeal." He said the government cannot intervene and that Indonesians should have faith in existing "legal mechanisms" to resolve any problems facing the country. 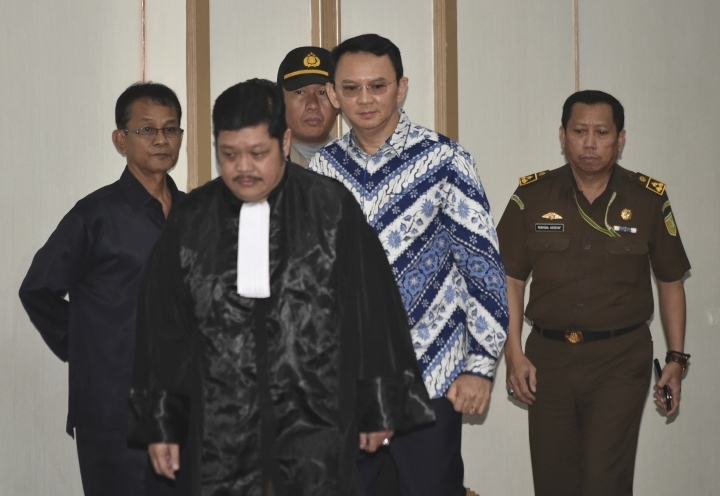 The U.N. Human Rights Office says it is "concerned" by the two-year prison sentence given to Basuki Basuki "Ahok" Tjahaja Purnama for his "alleged blasphemy" against Islam. On Twitter, the Office of the High Commissioner for Human Rights says it is calling on the Indonesian government to review the blasphemy law. 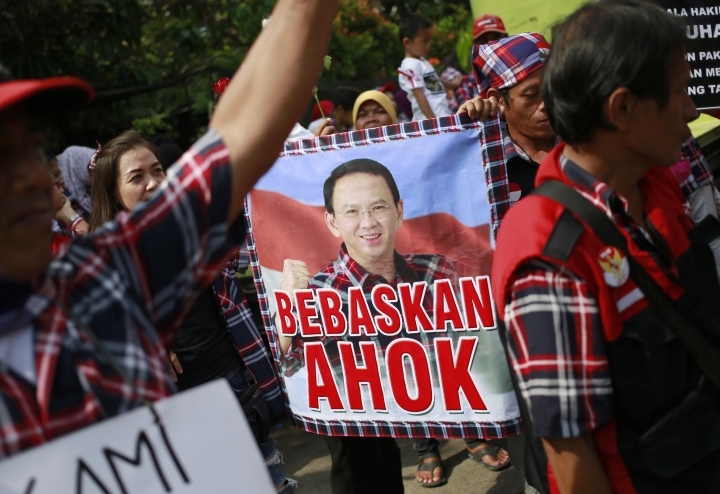 Indonesians are divided between shock and jubilation after Jakarta's governor Basuki "Ahok" Tjahaja Purnama was sentenced to two years prison for blaspheming the Quran. Outside the court Tuesday, supporters of Ahok wept while members of Islamic groups punched the air in celebration. On Twitter, some Indonesians have declared the verdict makes them ashamed of their country. 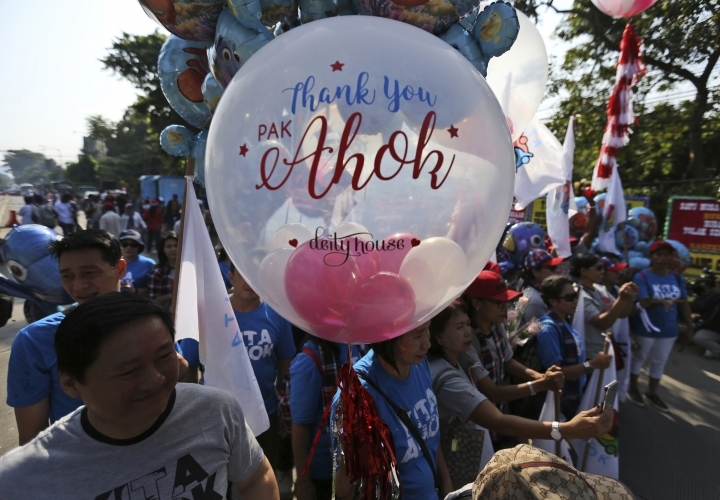 Ahok said during the campaign that people were being deceived if they believed a specific verse in the Quran forbids Muslims from voting for non-Muslims. 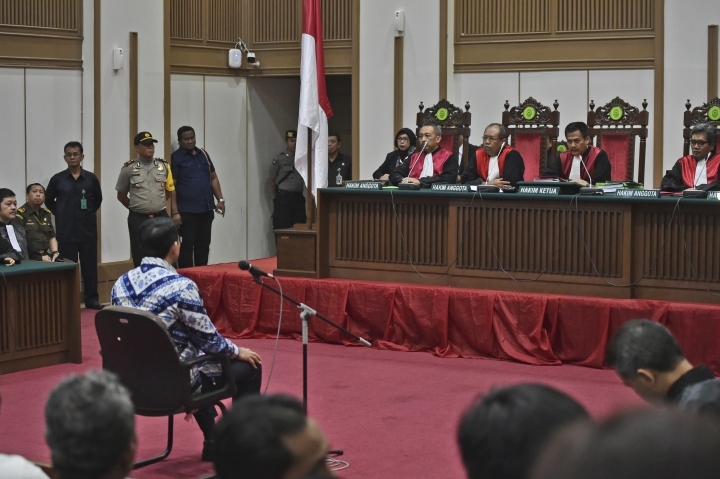 Syamsu Hilal, a member of an anti-blasphemy group who reported Ahok's comments to police last year, says "here we have witnessed that the judge has become a representative of God, that the judge has upheld justice." But Ahok supporter Adrian Sianturi said "this decision is the character assassination of a good governor, a clean politician who is rare in this country." 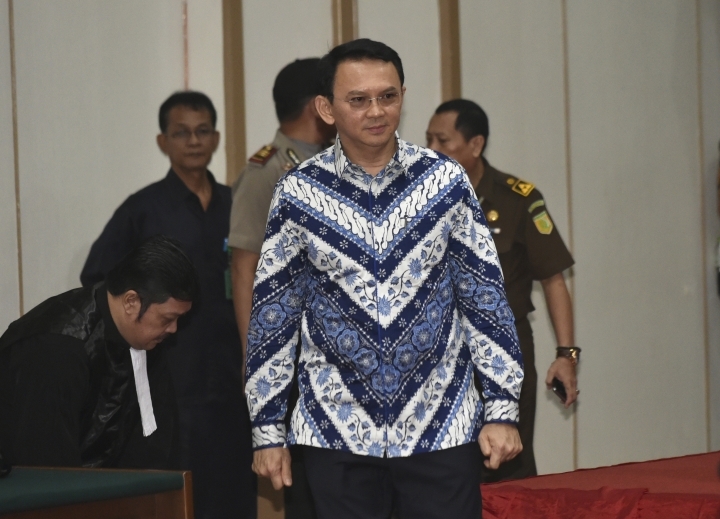 Ronny Talampessy, a lawyer for the Indonesian capital's minority Christian governor, Basuki "Ahok" Tjahaja Purnama, says Ahok has been taken to a prison in Jakarta following a court's decision to sentence him to two years in jail for blaspheming the Quran. Ahok has said he will appeal the verdict. It's unclear whether he would be released once the appeal is underway. Television footage showed an armored police van arriving at the prison on Tuesday and journalists waiting for Ahok to emerge. Wayan Sudirta, another lawyer for Ahok, said there was "so much pressure" for Ahok to be imprisoned. He said, "We can understand but we cannot accept the verdict. Therefore we will appeal." Jakarta Gov. Basuki "Ahok" Tjahaja Purnama says he will appeal a guilty verdict and two-year prison sentence for blasphemy. The sentencing Tuesday was a shock to his supporters after prosecutors had recommended two years of probation. 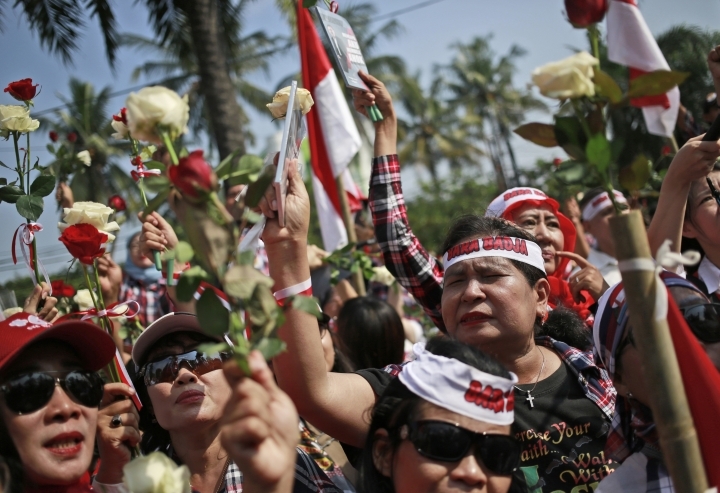 Members of hard-line Muslim groups gathered outside the court in north Jakarta were jubilant. The lead judge said the trial was a purely criminal one and the court disagreed that there were political aspects to the case.